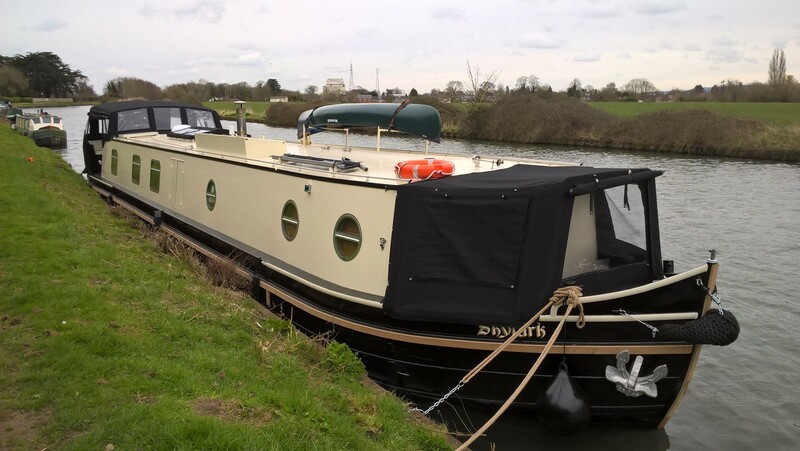 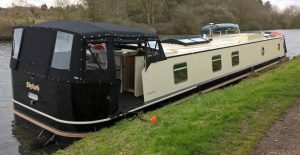 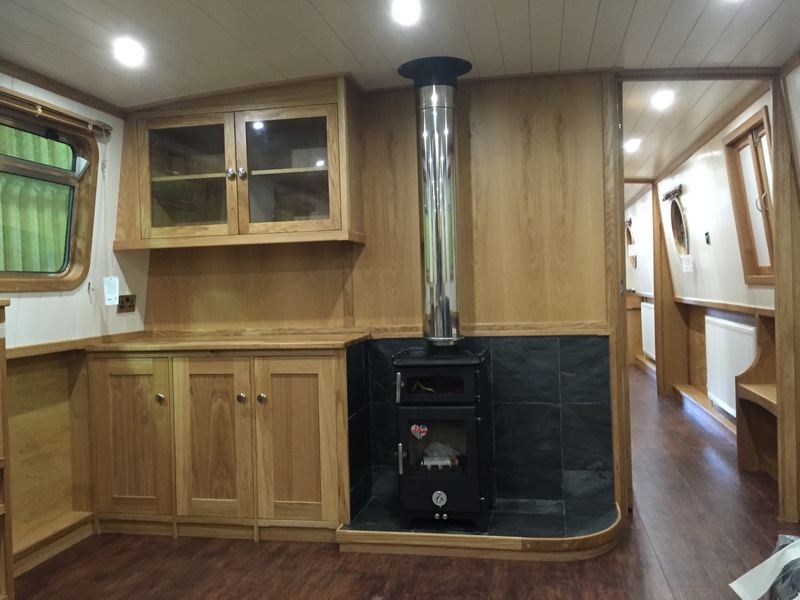 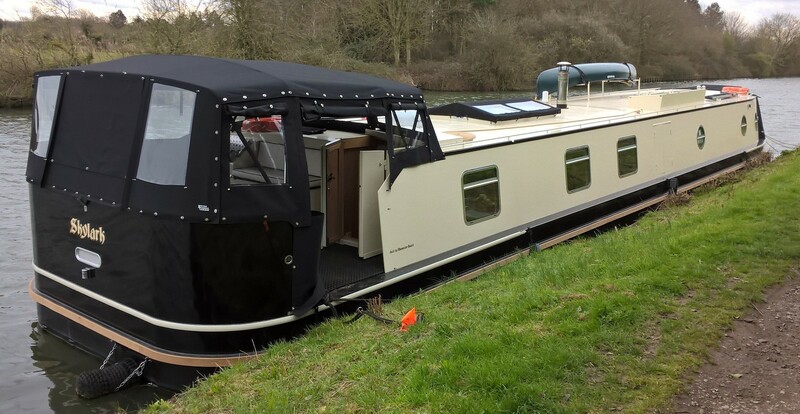 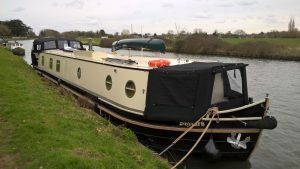 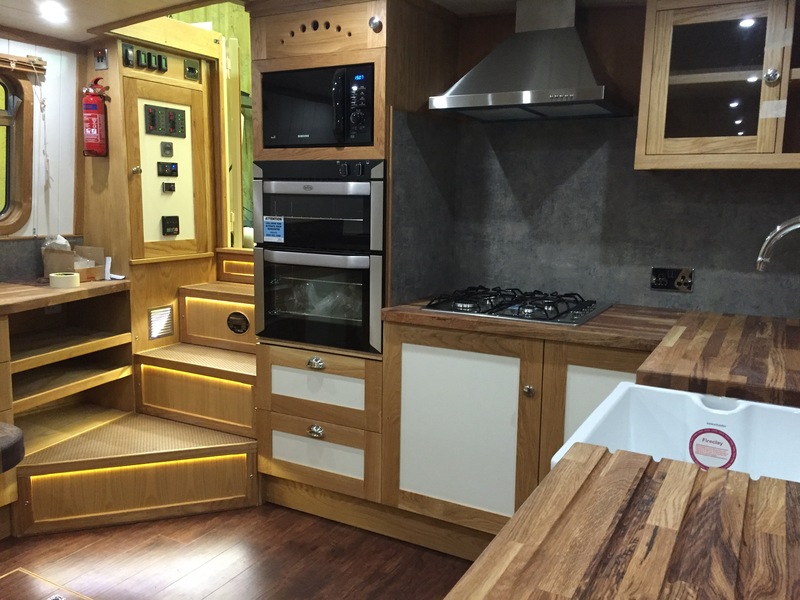 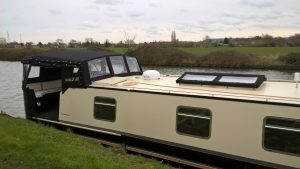 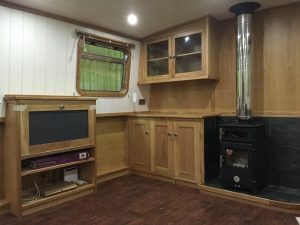 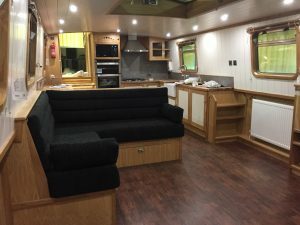 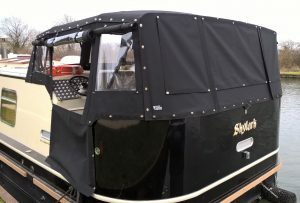 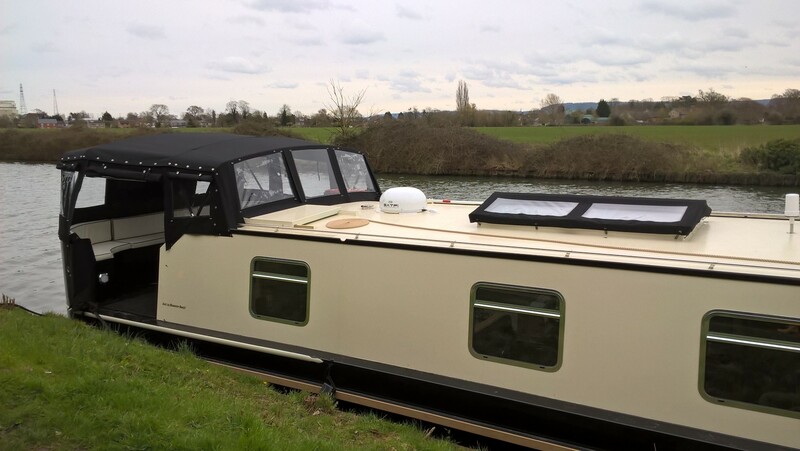 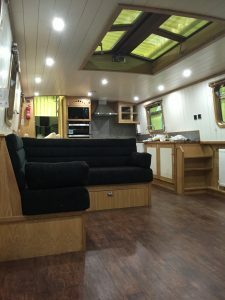 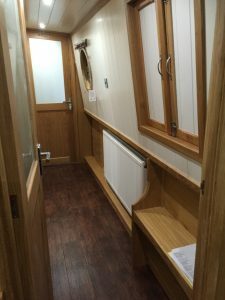 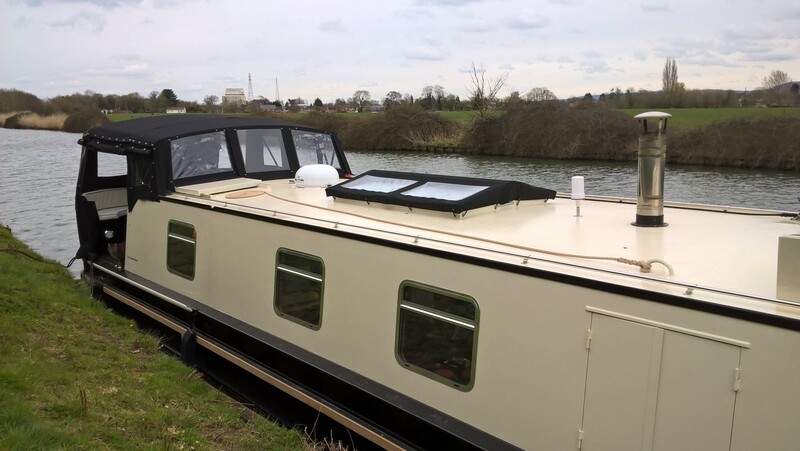 Skylark is a 62ft x 12ft 6″ two bedroom, two bathroom wide beam launched in 2016. 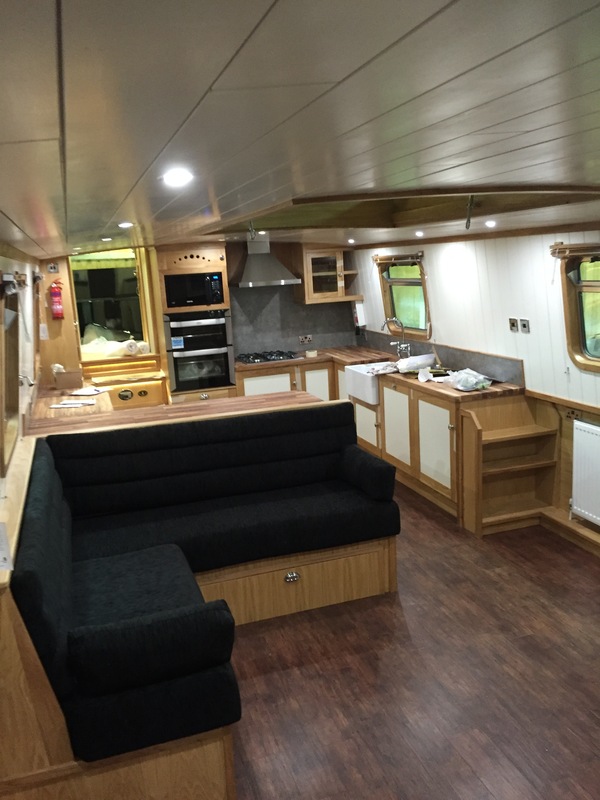 Built with our traditional square stern with wraparound cushioned seating. 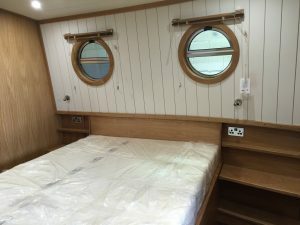 The layout from bow to stern is: Bedroom/En-suite, Bathroom, 2nd Bedroom, Saloon and Galley. 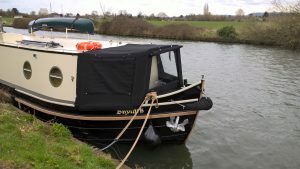 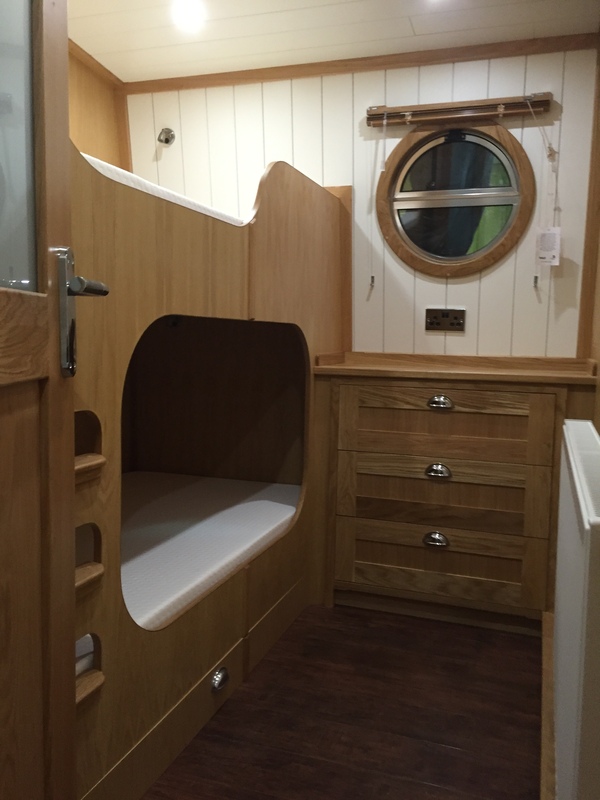 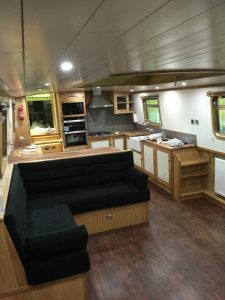 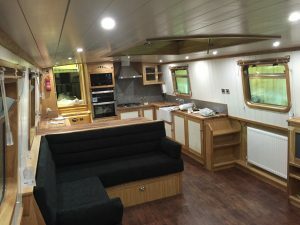 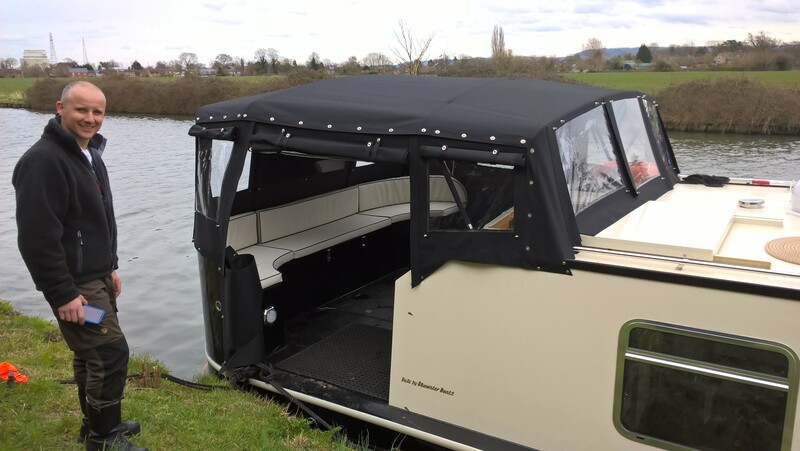 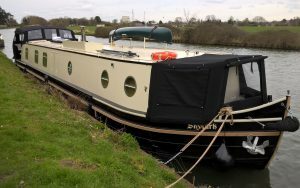 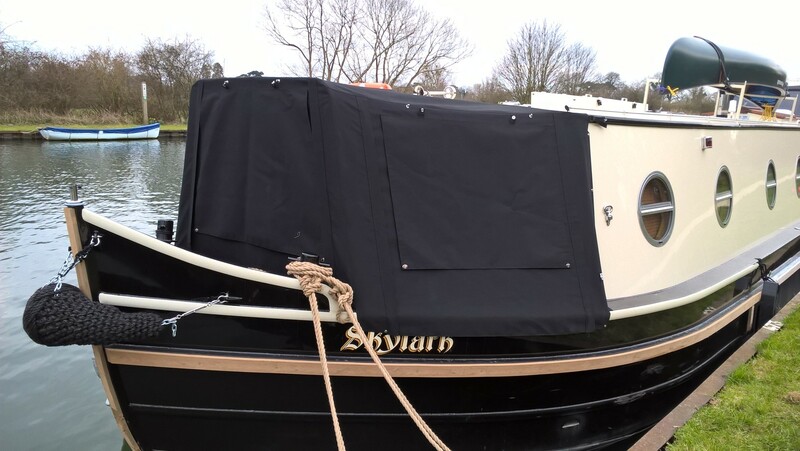 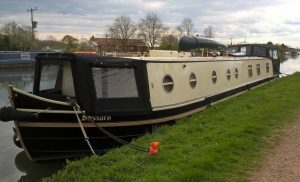 Skylark is lined with a painted T & G ceiling and cabin sides and oak veneered plywood under gunnel. 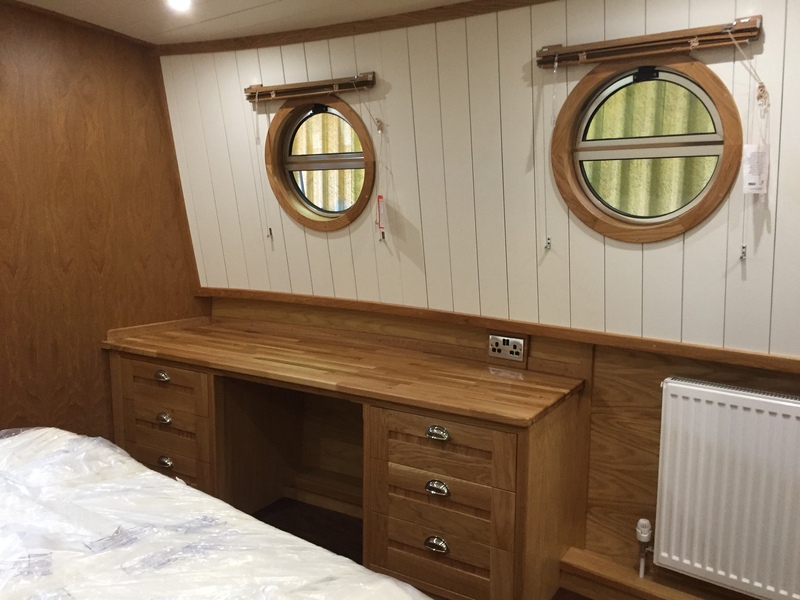 The oak cabinetry in Skylark is of the highest standard and compliments the contrast of the painted and oak surfaces. 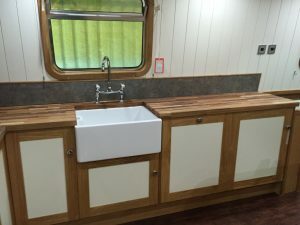 The worktops throughout are solid oak. A large double glazed opening dog box is fitted in the roof above the saloon to allow additional light into Skylark. 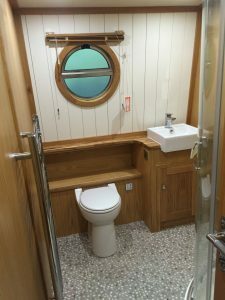 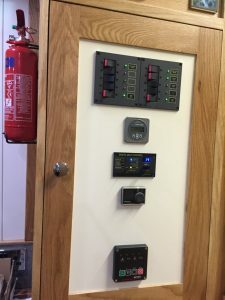 Skylark is powered by a Vetus 80hp engine, a Vetus 6.5 kva slow speed generator, a Vetus 95 kgf electric bow thruster, a Vetus electric winch at the bow, a Victron 3000W inverter/charger and a Webasto diesel heater. 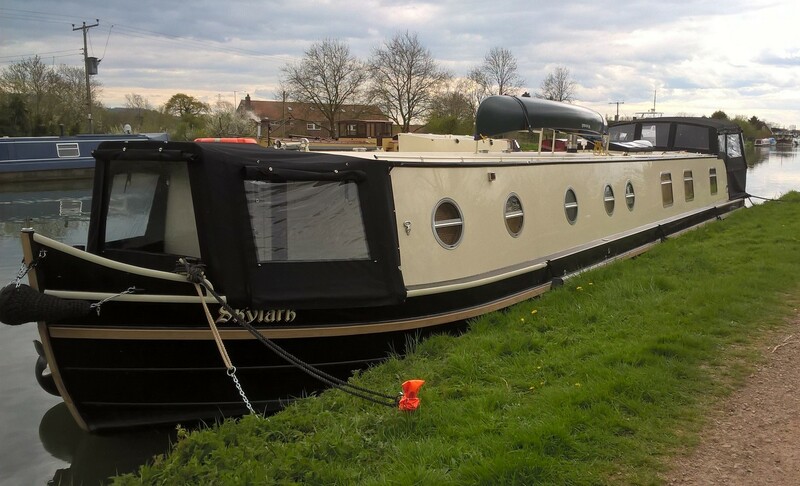 Skylark has been shot blasted externally, including the base plate and painted in a two pack paint system to provide the longevity of the paint work on Skylark.